Tommy Schimpf lives in Charleston, South Carolina after he and his wife graduated from Clemson University in 1982. He majored in Architecture and is currently one of four partners in an architectural firm. Tommy says that he first started collecting bottles one summer between semesters. He came across a few old bottles under an old house while conducting a termite inspection for Orkin. That’s when he “caught the bug” for collecting old bottles. The broken ACL bottle from under that house caught his attention so he focused his collection on drink bottles. It wasn’t too long before he learned from collectors that you could find older (embossed) bottles in privies. The ACL collection was eventually sold and embossed ones took their place. Tommy and his long time digging partner Chip Brewer, dug many privies and unearthed bottles from the 80’s and 90’s. Not to say they haven’t dug since then but those were the focused years digging on as many weekends as possible without interfering with raising a family and working. They both have great collections as you will see in the slide show. Tommy’s main bottle collection is on embossed South Carolina bottles. Since there is very limited books on S.C. bottles (exception S.C. dispensaries) he has taken on the task of traveling to see collections, research libraries, etc. so he can let us know what exists. He is hand drawing each one to show in detail and also describe what is embossed on these bottles as well as provide a rarity scale. South Carolina collectors have been patiently waiting these publications and Tommy released the first book last year to satisfy their hunger. This was a book on Coca-Cola “hobbleskirt” bottles from South Carolina. The upcoming books will be focused on blob tops, hutchinsons, crown caps, medicines, whiskeys and colored sodas from South Carolina and he promises they will be released very very soon. The seminar that he is preparing for this year’s National Bottle Show will focus only on South Carolina colored sodas. There will be a slide show showing the vast color range of Charleston colored sodas, top variations and also include two other South Carolina cities that have a colored soda. This should be a very colorful and informative seminar. 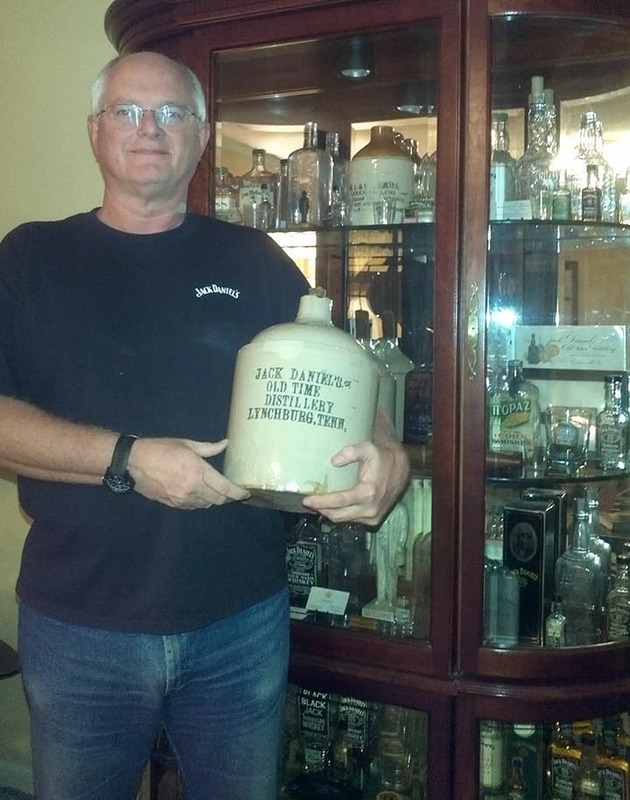 A lifelong collector (stamps and books), Jack Sullivan began collecting bottles in the mid-1970s, beginning with whiskey jugs. He amassed some two hundred over three decades and then assembled a group of 1930-1960 hillbilly souvenirs. The majority of both collections he since has donated to museums, including the Getz Whiskey Museum in Bardstown, Kentucky. Other items have been sold in an additional effort to “downsize.” Today he specializes in glass paperweights, principally from pre-Prohibition distillers and whiskey dealers. Jack’s experience with glass includes a brief period working for Owens-Illinois Glass Company in Toledo and as a volunteer for two years co-curating and cataloguing the entire bottle and other inventory of the Stabler-Leadbeater Apothecary Museum in Alexandria, Virginia. 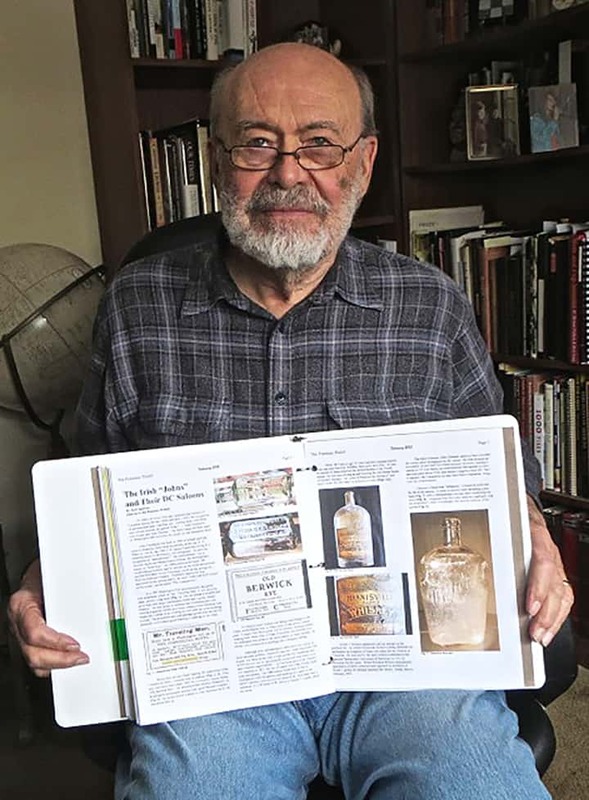 Beginning about 1990, he has written more than 500 articles for collector magazines, including Bottles and Extras and The Antique Bottle & Glass Collector. 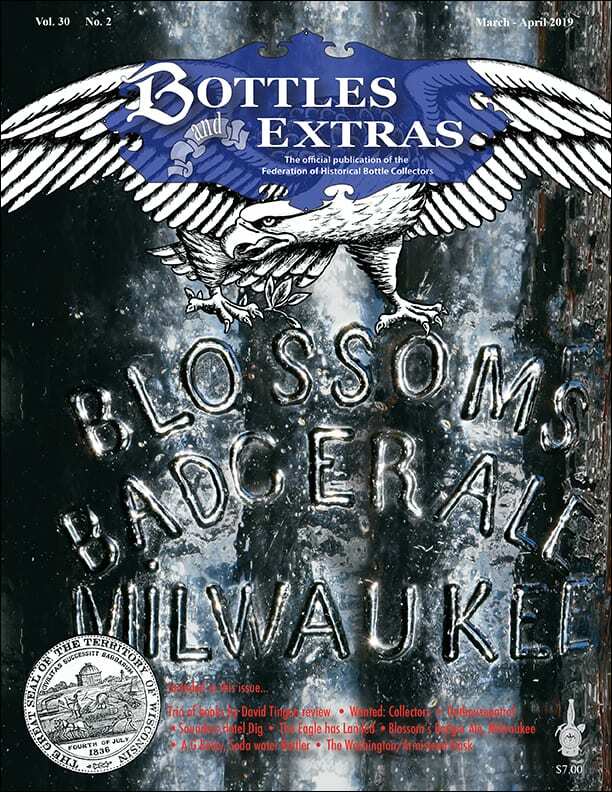 He also contributes regularly to the Ohio Bottle Club’s Swirl and the Potomac Bottle Club’s Pontil. A longtime member of both clubs, in 2012 Jack was inducted into the FOHBC Hall of Fame. He currently conducts two blogs, “Bottles, Booze & Back Stories,” and “Pre-Prohibition Whiskey Men.” Both are posted through blogspot.com. Holding two degrees in journalism and a doctorate in political science, Jack has by turns been a newspaper reporter, staff member in the U.S. House of Representatives, head of U.S. foreign aid programs to Asia and the Pacific, and an executive of two international consulting firms. Along the way he also has served as an adjunct faculty member at three universities. Having reached the age of 80 this year, Jack has retired to concentrate on volunteer and writing activities. A resident of Alexandria for the past 48 years, he is a civic and political activist who frequently speaks and writes on local issues. Jack and his wife, Paula, celebrated their 52nd wedding anniversary in June. They have two sons, both PhD biologists, and one granddaughter. 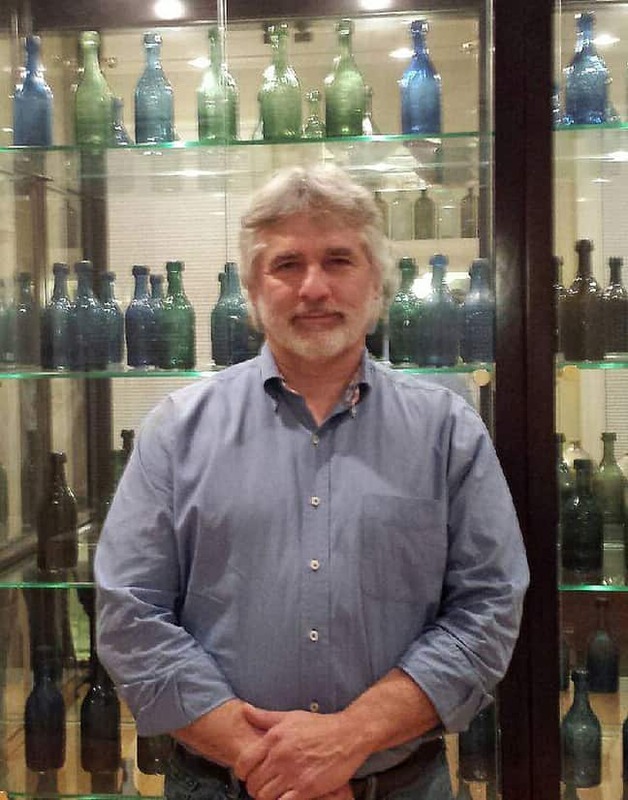 Ferdinand Meyer V, President, Federation of Historical Bottle Collectors, is a native of Baltimore, Maryland and has a BFA in Fine Art and Graphic Design from the Kansas City Art Institute and School of Design. Ferdinand is the founding Principal of FMG Design, a nationally recognized design consultation firm. Ferdinand is a passionate collector of American historical glass specializing in bitters bottles, color runs and related classic figural bottles. 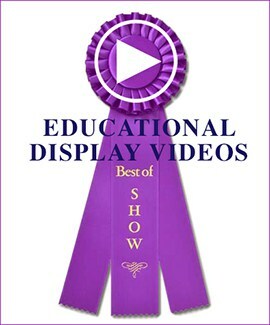 Ferdinand will play “second fiddle” in this seminar and discuss the web site Peachridgeglass.com and search techniques. 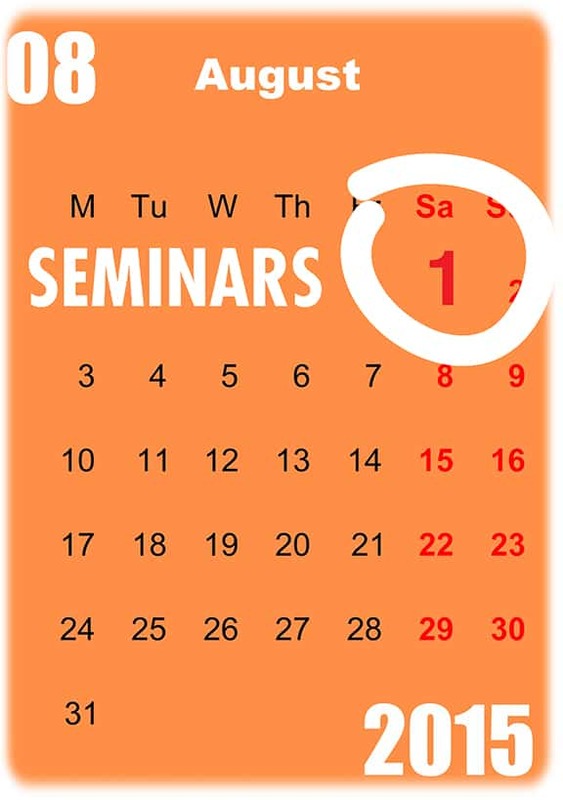 The seminars emphasis will be on helping folks get interested in doing their own blogs. The emphasis will be on how to write posts and design their layout for maximum communication and reader interest. Jack approaches blogging as a writer, but has edited several magazines in his career, and has the experience of keeping two blogs going. The interaction of words and pictures is a particular interest of both presenters. (Lem was Jack Daniel’s nephew). Mike has been employed at Arnold Air Force Base in Tullahoma, Tennessee since 1981. Beth is a homemaker. Their hobbies include collecting antiques and spending time near the water. Mike is currently a TSSAA high school football and basketball official. Mike and Beth are both members of the Lynchburg, Moore County, Tennessee Historical Society, where Mike has made several presentations. They live in the Lynchburg, Tennessee Historical District. 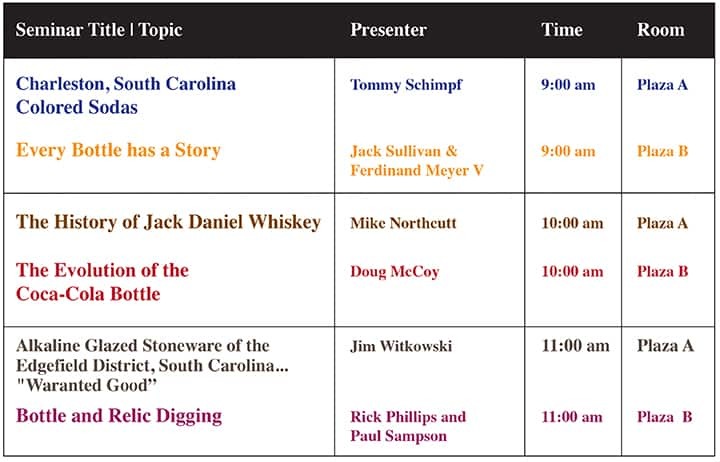 Mike will present a seminar on the history of the Jack Daniel Distillery and the Daniel and Motlow families. 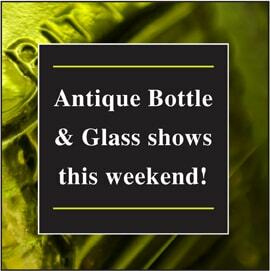 Rare bottles, jugs, letters, pictures, and artifacts owned by Mr. Jack Daniel himself will be displayed. Mike will also speak on the historical significance of the Chattanooga area to the Jack Daniel Distillery and the 1904 St. Louis World’s Fair, where Jack Daniel won a Gold Medal for the world’s best whiskey. The seminar will include a question and answer time, and an opportunity to view the historical items. Doug McCoy was born in Norfolk, Virginia into a military family. He has lived on the East Coast, West Coast and a few places in between and currently resides in Marietta, Georgia. Doug began collecting bottles at the age of 8, encouraged by his grandfather. He discovered his first Coca-Cola bottle at the age of 10 in a creek, which his father helped him retrieve. That Patent D bottle began his interest in Coca-Cola bottles and is still in his collection today. Doug has been a member of FOHBC for many years. He is also a member of The Coca-Cola Collectors Club and has served as the Vice President of the Atlanta Chapter and was the Co-Chairman of the Atlanta Chapters 2014 ‘Springtime in Atlanta’ Convention. 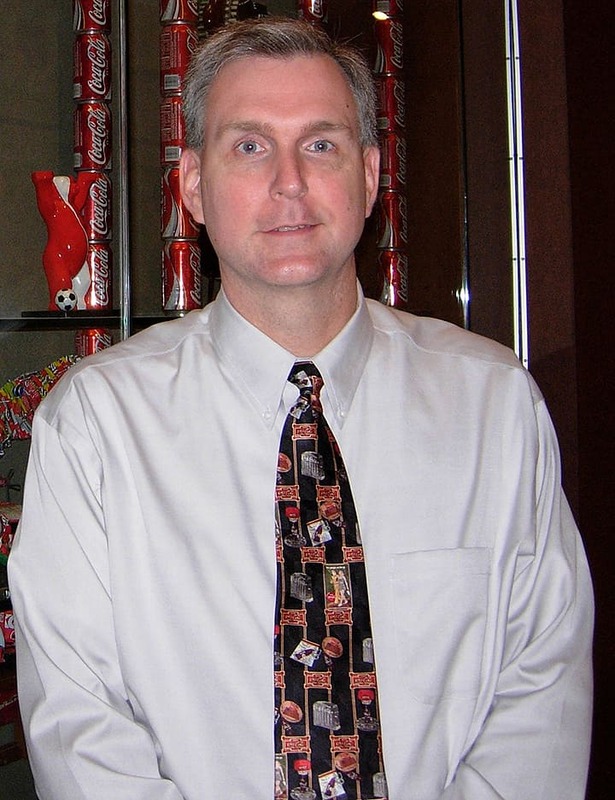 Doug has done numerous presentations at The Coca-Cola Collectors Club National Conventions and at Chapter meetings. He has written numerous articles for various collecting publications and newsletters. Wanting to create a detailed and comprehensive history of the returnable Coca-Cola bottle he gathered information on Coca-Cola bottles from fellow collectors and from publications, news releases and employees of The Coca-Cola Company, Coca-Cola Bottling plants, glass manufacturing companies as well as court transcripts, U.S. Patent Office records and The Coca-Cola Company Archives. In 2009 his book ‘The Coca-Cola Bottle’ was published. His book ended up being popular with archeologist as a reference guide. His book can be found on the shelves in the Corning Museum of Glass library, Root family museum and was available at the Schmidt Coca-Cola Museum. The book has sold copies around the world and across the U.S. He is currently working on a second edition with updated information. In 2010 he was interviewed by the website Collectorsweekly.com. The interview ended up being one of the top 10 interviews of 2010 based on number of hits. Doug’s FOHBC presentation is called ‘The Evolution of the Coca-Cola Bottle’. The presentation will cover the type of bottles that were used to bottle Coca-Cola, from the Hutchinson bottle, embossed style bottles used in the 1960’s to the ACL bottles used into the 1980’s. His presentation will include some unusual and obscure bottles. 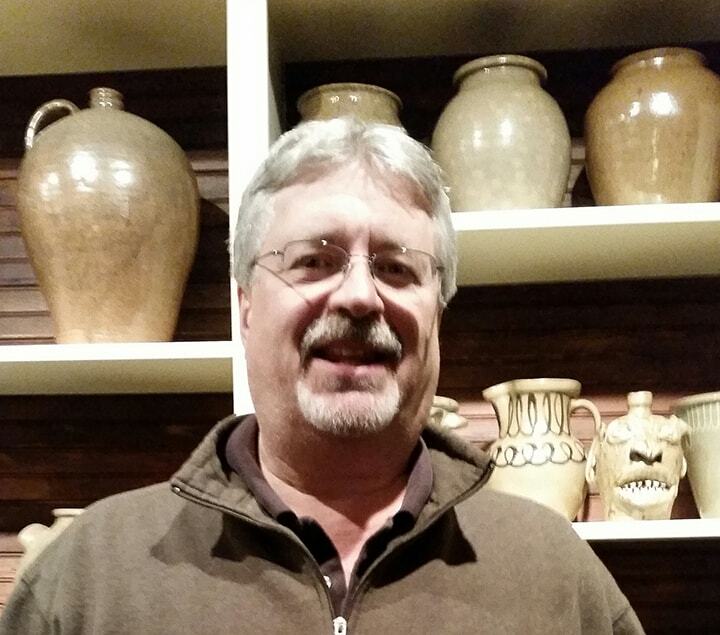 Jim Witkowski has been collecting and researching alkaline glazed nineteenth century Edgefield District stoneware for over 30 years. He co-authored a paper on the dated vessels of the slave potter “Dave” (David Drake) which was published in the 2006 edition of Ceramics in America. He has also actively supported exhibitions and research on nineteenth century Edgefield District face vessels. Jim has served on the McKissick Museum Advisory Council, chairing that organization and the Collections Committee. Jim recently retired from Union Camp/International Paper where he held various engineering and technical positions. He currently works for ARCADIS, a global environmental consulting firm. Jim’s presentation will discuss alkaline glazed stoneware made in the Edgefield District of South Carolina during the nineteenth century. This type of stoneware is generally accepted as being a unique tradition of the American South, with its origins in this region of South Carolina. The presentation will provide information on the potteries (and potters) with many photographs of attributed wares. Emphasis will be placed on specific topics inseparable from “Edgefield pottery”….clay slip decoration, the enslaved potter Dave, and face vessels. Rick Phillips is a 60-year-old Medical Technologist that lives in Richmond Hill, Georgia with his wife Carol. He borrowed a metal detector for a vacation to the Florida Keys back in 1990, so he could look for coins to add to his coins that he had been collecting since high school. Though he never pulled it out, he did get a cheap detector upon his return home. After finding a 1904 Barber dime and Carol finding a Civil War Minnie ball, an interest was sparked in the search for history. 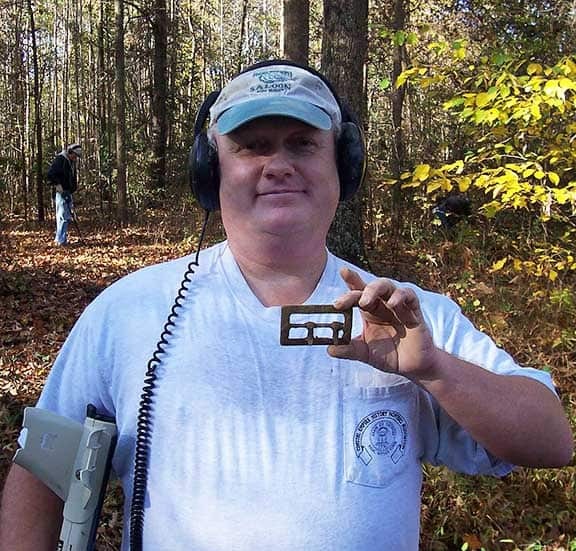 Rick has been a member of the Coastal Empire History Hunters Association since 1990 and the president of the organization for the last 20 years. During the search for artifacts, an infatuation with the Civil War led him to Civil War reenacting. It gave him a chance to bring history alive and he has been the Captain of the 8th GA Infantry for about 15 years. The hobby has taken the Phillips to England four times on metal detecting vacations where his finds date back to 100 B.C. including finding a Celtic Potin (a bronze coin). By the way, his wife had him beat with a 1400 BC Bronze Age Axe for oldest relics. Besides the relics that he has rescued and preserved, Rick takes pride in the book that the Coastal Empire History Hunters published documenting the finds from club members into historical context that took over 10 years to refine. The book, Relics of the Coastal Empire, The Civil War Years has been acclaimed as THE “new standard” for reference books. Paul Sampson lives in Tallahassee Florida and is married with two grown children. He owns, with his brother-in-law, Capital Coin & Diamond Inc., a coin and jewelry store. He found his first bottle, an Underwood ink, when he was 10 years old and it set the collecting hook. He still has it. He started with fossils and when his family moved from Canada to Florida in 1968, he added Indian artifacts. 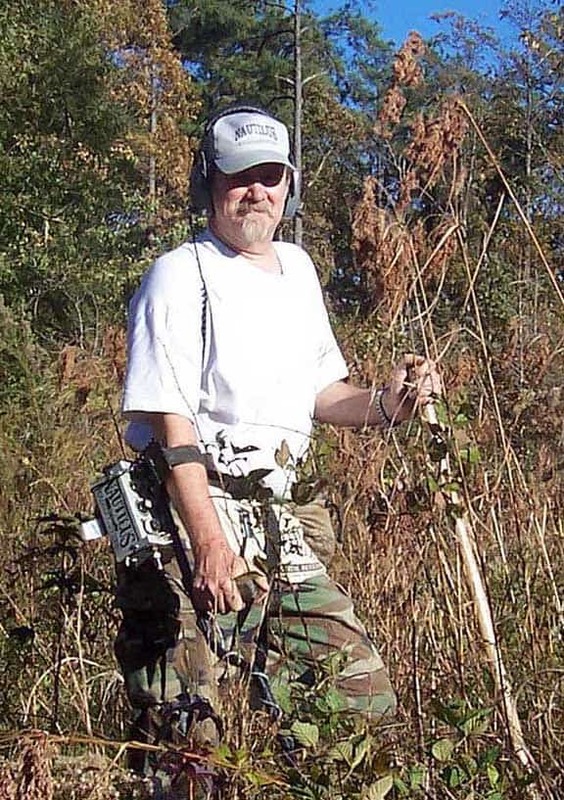 Paul purchased his first metal detector in 1971 and has continued to this day. He would say that he is primarily a relic hunter. Finding modern items just doesn’t do it for me anymore. I have been to England to hunt four times including just last fall and the thrill of possibly finding something 2,000 years old is amazing. He is a member of the Coastal Empire History Hunters Association, out of Savannah, Georgia and he says, “It is a great club and I have made many life long friends there.” The club just published a book of their finds and it is a “must have” of the history from Charleston, SC to Darien, Georgia, up to the Civil War. He meet Rick and Carol Phillips through metal detecting and has been on many hunting trips together including to the UK. He collects all things from Tallahassee, Florida and has many of the known bottles for Tallahassee, but is still missing a few. He also collects Florida paper money and tokens. Paul does of digging, not primarily for bottles but in his quests, he does come across a few. Come talk to us about relic hunting! In this seminar, Rick and Paul will talk about using metal detectors to discover and preserve artifacts as well as their usefulness when digging for bottles. It is not uncommon to find bottles while searching for relics and in some cases, such as Civil War hut digging, you are looking for both! In privy digging, using a metal detector can net you some bonus finds…don’t miss them!! !